Compact Fluorescent Light Bulbs (CFL bulbs) can save you a lot of money, but not necessarily as much as proponents and home improvement stores suggest. Technically Compact Fluorescent Light Bulbs use only a quarter of the power as incandescent light bulbs and they are typically guaranteed for 8000 hours versus 500 hours, respectively. Compact Fluorescent Light Bulbs cost around $3.00 (during sales) whereas an incandescent typically goes for around $0.50. Though a Compact Fluorescent light bulb costs about 6 times as much as an incandescent bulb, it lasts 16 times longer and uses only ¼ the power of the incandescent bulb. As a result, Compact Fluorescent Light Bulbs make a lot of financial sense, at least in the simple math. The problem with Compact Fluorescent Light Bulbs is that they have a fixed number of times that they can be turned on before they begin to fail. 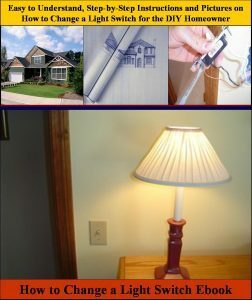 As a result, they are not appropriate for lighting applications where the light will be turned on and off frequently. Compact Fluorescent Light Bulbs are meant to be turned on and left on for long periods of time (e.g. 3 hours or more). Thus, Compact Fluorescent Light Bulbs are probably not meant for bathrooms or bedrooms where lights are turned on and off frequently. They may however be appropriate for living rooms and kitchens where lights may be left on much longer in the evening. In addition, thought Compact Fluorescent Light Bulbs do not create a great deal of heat themselves, they are however sensitive to it. As a result, they are not appropriate for recessed lights or enclosed lighting fixtures. Because of the excess heat build up in these types of lights, the Compact Fluorescent Light Bulbs will fail in short order. The other consideration with Compact Fluorescent Light Bulbs is that they contain trace amounts of Mercury and thus should not be simply thrown away when they fail. Instead they should be taken back to the store where you purchased them or to a recycling plant that can properly handle them. The Mercury levels associated with Compact Fluorescent Light Bulbs are safe, when the bulb is left in its natural state (unbroken). So failed bulbs should be returned to stores or recycling plants left undamaged. All this said, Compact Fluorescent Light Bulbs (CFLs) have a bright future and can save homeowners a great deal of money. Used in appropriate applications, a Compact Fluorescent Light Bulb will pay for itself after just 500 hours of use (e.g. 100 days at 5 hours per day). CFLs are available in a variety of white lighting shades including “Warm White”, “Cool White”, “Soft White”, and “Day” light tones. So the next time you are contemplating a Compact Fluorescent Light bulb sale at your local home improvement store, think where you will use them in your home before you decide on how many to actually buy.